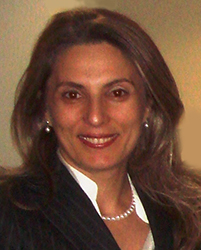 Ebru Erberber is a principal researcher at AIR. Dr. Erberber has more than 15 years of experience in large-scale comparative studies of educational achievement. In her current position, she serves as the project leader for the Trends in International Mathematics and Science Study (TIMSS) and the Teaching and Learning International Survey (TALIS). In this role, she manages AIR’s technical and substantive support for the National Center for Education Statistics (NCES) on developing and reviewing TIMSS and TALIS data collection instruments (e.g., achievement tests, scoring documentation, and background questionnaires), reports, and dissemination materials; and directing and conducting research with the international datasets. In her previous roles at AIR, Dr. Erberber provided content and technical expertise in USAID- and World Bank-funded projects in low and middle-income nations in design, development, and implementation stages of monitoring and evaluation systems. Countries of extensive experience include Pakistan, Egypt, and Namibia. Also conducted monitoring and evaluation work in Sri Lanka, Vietnam, Cambodia, and Peru. Before joining AIR, Dr. Erberber worked at the TIMSS & PIRLS International Study Center at Boston College where she had primary responsibilities at all stages of TIMSS including development of assessment framework, achievement items, scoring guides, test booklets, data analysis, and reporting activities. Prior to that, she served as science teacher, science coordinator, and assistant principal in K-12 schools in Istanbul, Turkey. She is fluent in English and Turkish and holds a Project Management Professional (PMP) Certificate through the Project Management Institute (PMI).